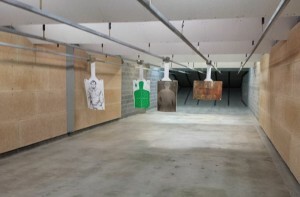 Myrtle Beach’s newest indoor shooting range, The Gun Store and Indoor Shooting Range offers the best shooting experience in town. At 25 yards, our 10 lane range is rifle rated and we are also equipped with HEPA air filtration to ensure that you are in a healthy environment while shooting indoors. Whether you are an individual wanting to get some practice in or a group wanting to schedule a shooting event, The Gun Store can handle any size crowd. You can rent or purchase all of your indoor shooting range needs such as ammo, targets, ear protection, and a wide variety of guns from the top manufacturers from around the world. Are you not sure if you like a .45 over a 9mm? The Gun Store has a wide range of guns for rent. Come compare guns and sizes so that when you are ready to buy your next gun, you feel more confident on which one is best for you! Come experience shooting like no other place around by renting our fully auto AR-15 or Thompson .45 “Tommy Gun”. Where else will you be able to pull the trigger and fire off 30 rounds within seconds? 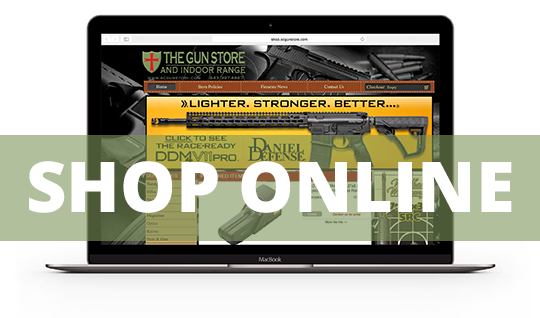 We have a large selection of handguns and rifles to choose from, whether it’s your first time shooting or you are looking to try something new. Includes an AR-15 SBR, 2x 30rd mags & eye and ear protection!